The perfect chocolate and ganache decorating tools. 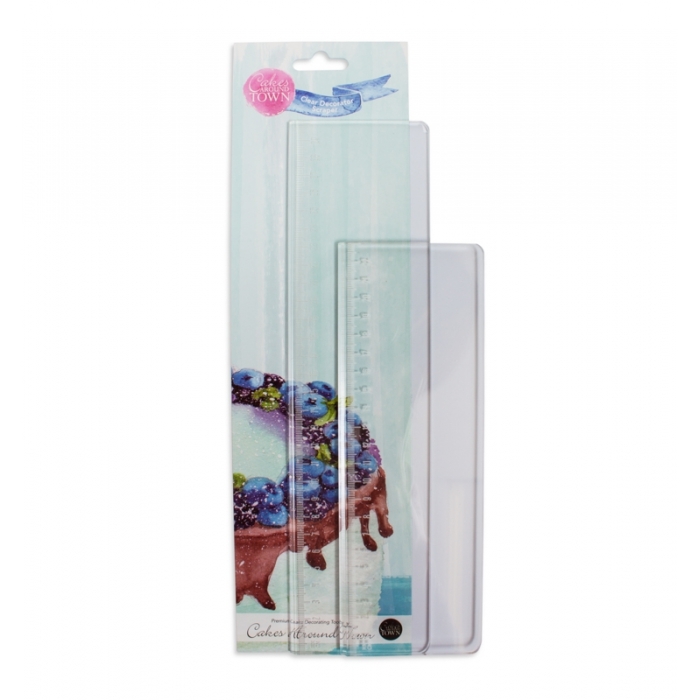 Due to it's transparent design, this product will enable you to decorate and finish your cakes with ease. As you can see clearly through the scraper, you will be able to see your cake underneath it and therefore have more control and accuracy. With a thicker width of 4.5mm compared to conventional cake scrapers, it will not bend or tilt and will ensure your cakes are consistent and straight. This set contains 2 scrapers - large (9"/23cm) and XL (11"/30cm) - ideal for any cake height. The added bonus with these new scrapers is that they have a ruler engraved on the side of them to assist with guaging the height of your cake. 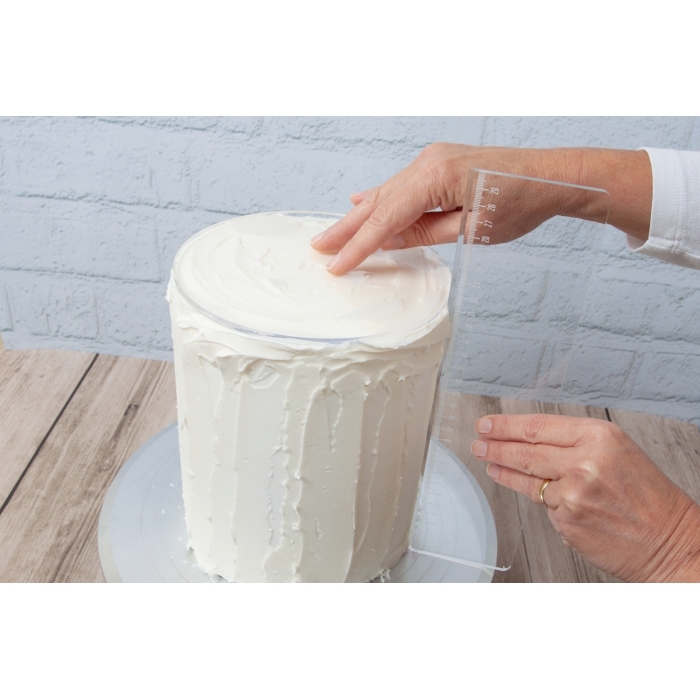 The small bevel in the transparent culinary scraper's edge can be used to precisely ganache, mask or smooth buttercream on cakes. Using the clear culinary scraper, you can apply stencils or royal icing with ease as you can see through the scraper to see what you are doing. The scraper is strong enough to use as a ruler to straighten any cake decoration, from candy stripes to edging cakes.